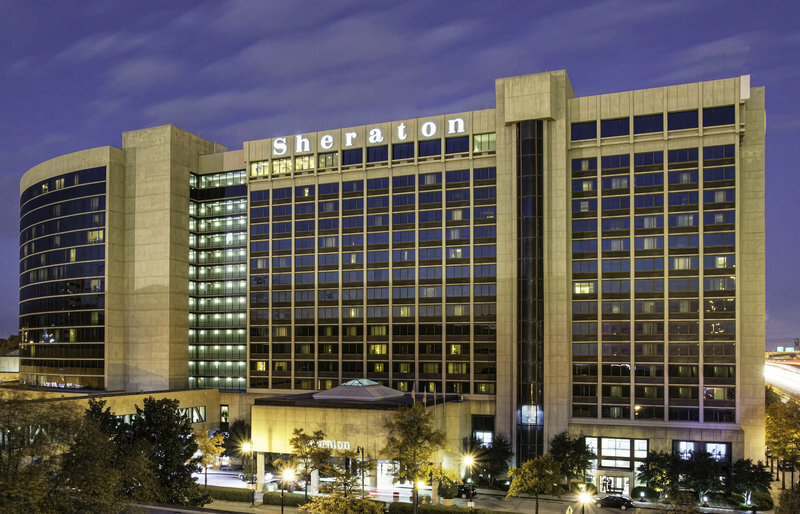 Check Rates & Availability at Sheraton Birmingham Hotel! Set the stage for a memorable visit at Sheraton Birmingham Hotel. Ideally situated in the new Uptown district of the city, our hotel is an outstanding destination for business and leisure travel. We're located just off the interstate and less than five miles from Birmingham-Shuttlesworth International Airport - and our complimentary shuttle to and from the terminals removes the stress of travel. Intuitively designed hotel rooms offer high-speed Wi-Fi, ergonomic workspaces and flat-screen TVs as well as our iconic Sheraton Signature Experience Beds. Choose from an array of on-site restaurants including the Atrium Caf and a lively sports bar. Those in Birmingham for business will appreciate our direct connection to the Birmingham-Jefferson Convention Complex, as well as our versatile venue spaces and expert planning and catering services. Last but not least, our excellent location enables you to visit attractions including the zoo, the University of Alabama at Birmingham and the city's vibrant downtown area. Start your day on the best possible note with a hot beverage from La Tazza, which features your favorite Starbucks coffee drinks and assorted teas. This lively coffee bar also serves pastries and other assorted sweet treats. Designed to emulate a garden, this captivating restaurant is open for breakfast, lunch and dinner; dine on seasonal fare under the soaring atrium. In the evening, the restaurant is an ideal place to gather with friends under a canopy of lights. Don't miss the big game while you're in Birmingham. Casey's Sports Bar & Grill offers sporting events on several screens - as well as a wide selection of beers, wines and spirits. Pair your drink with menu options including salads and sandwiches. Sip a creative cocktail and nibble on light bites as you unwind after a busy day in downtown Birmingham at Moretti's Lounge. Located on the lobby level of the hotel, this upscale lounge also offers complimentary Wi-Fi.